It wouldn’t be the holidays without a few trips to LUSH. 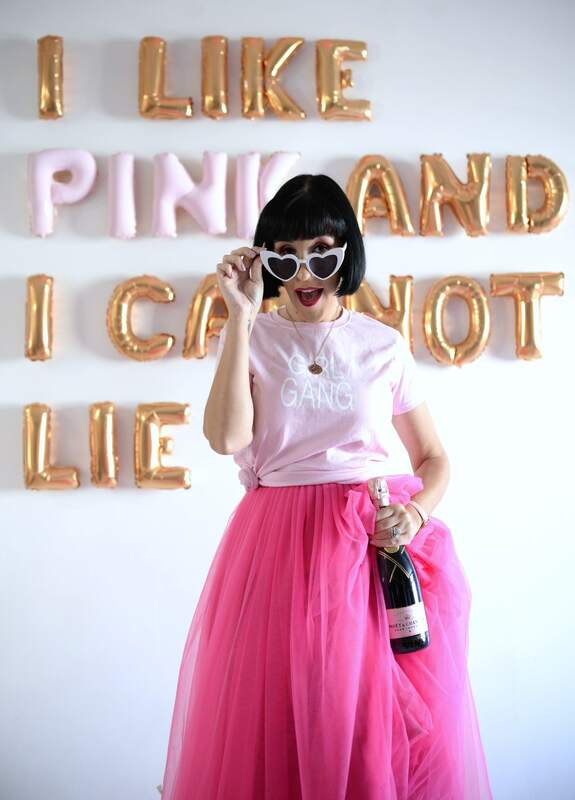 This season LUSH launched their biggest holiday collection ever, with a whopping 38 limited edition products and 42 unique and must-have gifts. They’ve helped us take the guess work out of what to get that special someone this holiday and made our shopping a whole lot easier. I’ve put together my top 5 holiday themed bath goodies sure to please anyone on your holiday list this year. LUSH Hot Toddy Shower Gel is all things spice and everything nice. This zesty shower gel features cinnamon and ginger to transport your senses with warm and spicy scents that’s perfect for the holidays. It also contains soft and soothing aloe vera to keep your skin moisturized and hydrated during these long, dry, winter months. This is the perfect shower gel to lather up with, after a cold, chilly evening of being outdoors. It will help keep you cozy on even the chilliest of days with the delectable cinnamony scent with subtle shimmer throughout. It does wash off fairly easily though, with just a hint of gold luster that adds just the right amount of holiday sparkle. It lathers up beautifully, adds a little extra shine to the hair if mixed in with your favourite shampoo and creates endless amounts of scented bubbles if added to running bath water. It retails for $9.95 for 100ml, $19.95 for 250ml and $29.95 for 500ml. 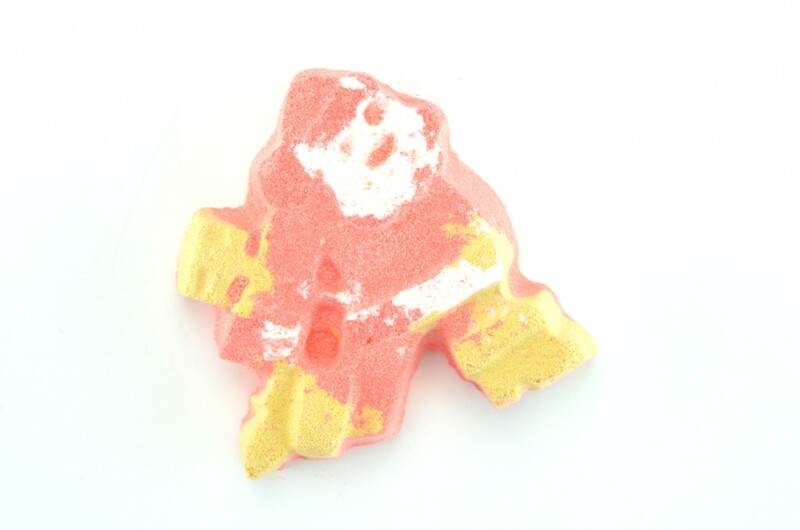 LUSH Dashing Santa Bath Bomb is a dash of citrus for the bath. Santa’s golden boots fizz away almost instantly, releasing an uplifting Satsuma scented aroma made up of mandarin, bergamot and orange absolute that truly sparkles in the water. Your bath water will instantly turn orange and red with a beautiful sparkle thanks to the snowflake luster. It not only smells amazing, it’s super relaxing and leaves the skin extremely soft, highly moisturized and keeps your skin hydrated throughout the day. It retails for $5.95. LUSH Santa’s Lip Scrub Lip Balms will leave your lips kissably soft this holiday season. This scrub comes in a tiny heavy glass jar and has a thick grainy texture that gently exfoliated the lips. It’s formulated with sugar and fine seal salt to help exfoliate dry skin, while coconut oil restores hydration, leaving your lips smooth, soft and moisturized. It has an addicting cola-flavor scent that’s safe enough to lick away after scrubbing a pea-size amount onto the lips until it’s almost all dissolved. This is perfect to use on its own as a lip treatment, but it is also great to use before applying your favourite holiday red lipstick to keep your lips looking smooth and soft. Extracts of cherries and dates help produce this colour scheme and delicious flavor and will have you coming back for more. It retails for $8.95. 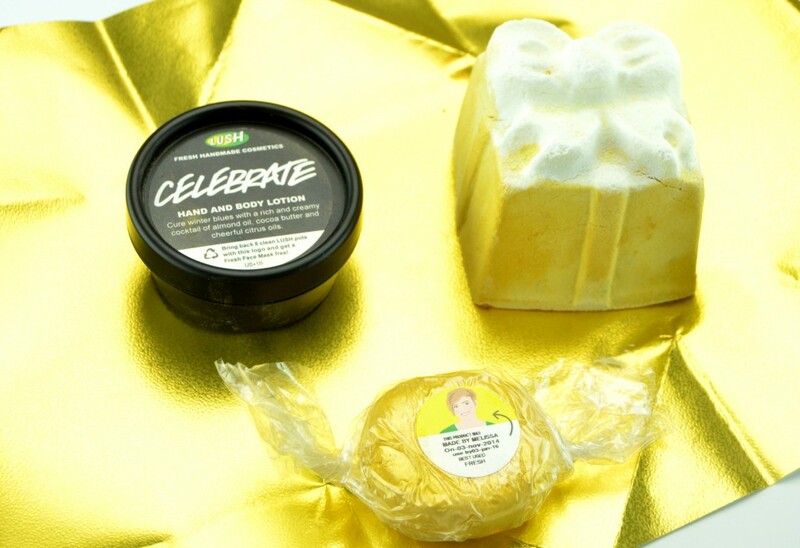 LUSH Golden Wonder will help you celebrate this holiday season in gold. It’s inspired by the Golden Wonder Bath Bomb that will spoil that special someone on your holiday gift list. 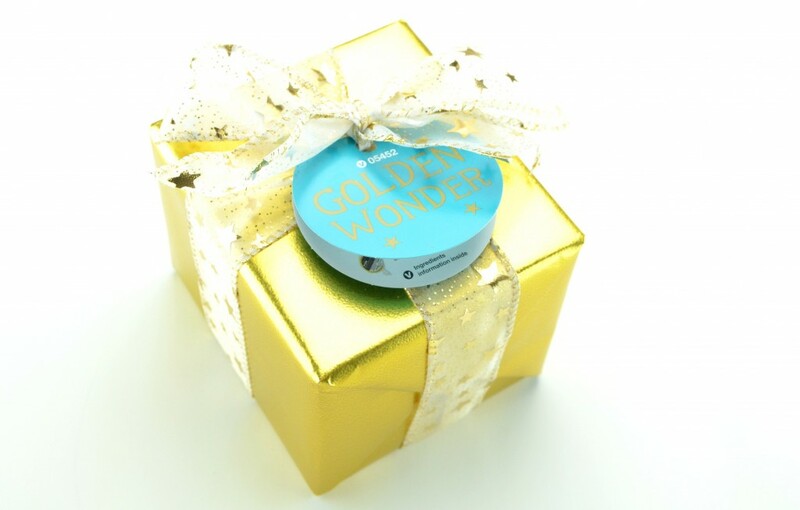 The Golden Wonder Bath Bomb is a glittery fizzer with a special surprise inside. It’s like shaking a Christmas present under the tree, trying to find out what’s inside. You would never think it would be this beautiful though. It starts off a sparkling golden yellow, but instantly turns green, starting to omit hundreds of tiny gold stars amongst the glitter. It then turns into a deep teal blue colour that turns the water silky smooth. It has a relaxing scent of orange, lime and cognac, almost like expensive champagne to me. Gold Fun is like a 4-in-1 product, as it can be used both as a bubble bath, soap or shampoo, along with a fun filled toy. You’re able to play and mold it into different shapes, fun for the entire family. It has a sweet scent of their best-selling honey-toffee fragrance. Celebrate Hand and Body Lotion is a glisten, golden, citrusy luxury. It’s has a fresh and citrusy scent, like walking through a grove of blossoming orange trees. It’s rich and decadent texture does leave somewhat of a greasy feel that might be best used at night? It does an excellent job at keeping the skin extremely moisturized and hydrated throughout the entire day. It retails for $19.95. Last, but not least, the brand new LUSH Northern Lights Bath Bomb. This will help you relax and escape the cold, as the ends fizz away the middle slowly dissolves to reveal a blue and neon green colour that instantly turns your water into a calming paradise. 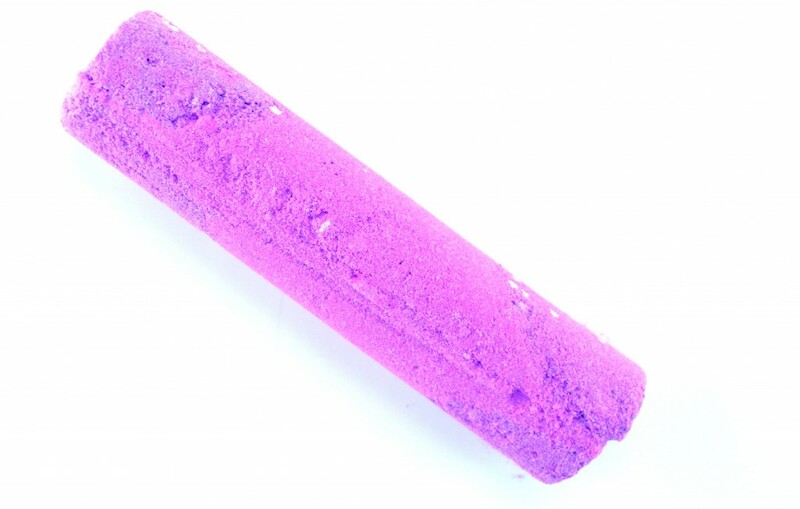 It actually contains popping candy to give it its fizz as you pop it into the bath tub. It features soft and subtle scents of jasmine and ylang ylang that’s extremely calming. It retails for $5.95. Hot Toddy sounds amazing! I can only imagine how that must smell, how did I miss that one last time I was in LUSH. I must try! it’s pretty darn amazing, maybe it was sold out?